So Dave. New shoes. What’s the story? 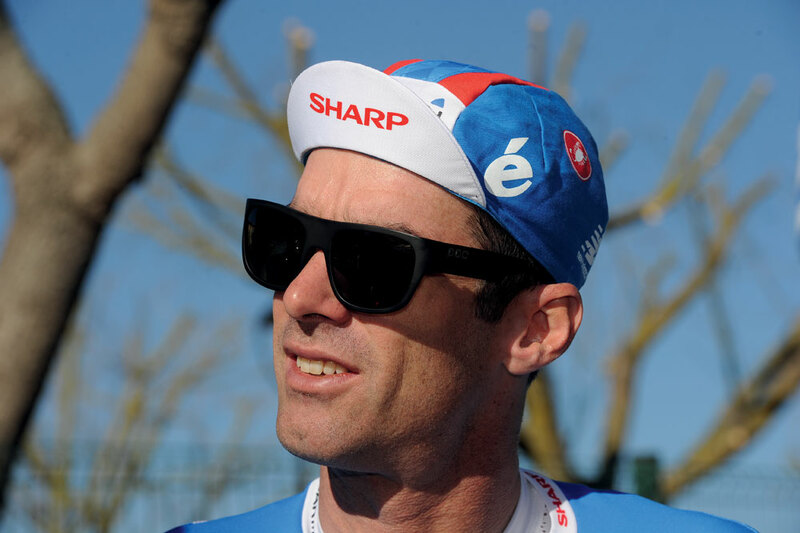 David Millar: Fizik do custom shoes and I thought it’d be fun to do something creative for my final year as a professional — designing shoes for all the races I ride. Then we decided to do it for the Small Steps Project [smallstepsproject.org], which gave us the motivation to do the whole thing properly. So you have a brand new pair custom designed for each race? DM: That’s right, we’ve already got eight of them designed and done. We’re currently working on another pair for Flanders. Doesn’t that feel a little extravagant? DM: Well, yes, it does a bit. But I’ve always changed shoes a lot anyway. I like clean shoes, I hate shoes when they’re bashed up. I know it’s one of those old wives’ tales that you shouldn’t, but I’ve always changed shoes during a stage race or whatever. 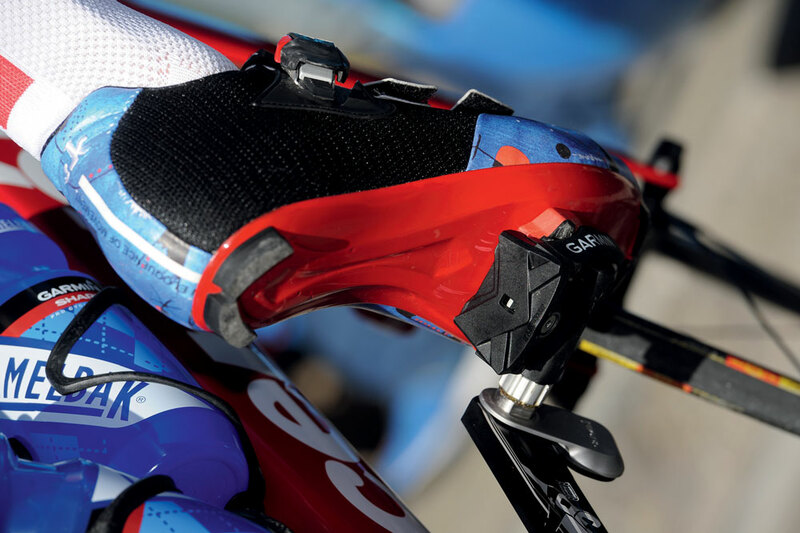 Every cyclist knows when you put on a new pair of shoes you feel a bit better. And, of course, you’re raising funds along the way for charity. DM: Small Steps auctions off celebrity’s shoes on the internet to help kids living on rubbish dumps around the world. We’ll sell my shoes after every race. It’s a very direct charity. We know where every pound is going. DM: Emails are flying back and forth. Everything passes through me, but we’ve got some guys designing in London and then Fizik have been great trying out different techniques and materials. The project forces me to think about all my memories of the races and what they represent to me. So what’s this pair of shoes all about? DM: Most races have got some sort of story to them, and most of the shoes are based on that. But Mallorca is a bit different — it’s more of a training event and there’s not much historical reference. But this is the closest I’ll get to racing in Catalonia this year, which is my new home, so we thought about having a shoe inspired by Catalan artist Joan Miro. It’s a bit mad, but I like it actually. What do you think the most iconic cycling shoes have been? DM: Everything now seems to be quite generic and lacks personality, and that was one of my inspirations. It’s all carbon, buckles and boa ’strictors or whatever they’re called these days. Classic punch-holed, leather shoes have lots of personality due to their relative simplicity. Aside from having swanky shoes, do you have particular goals for this swansong year? DM: Basically I’d just like to enjoy all the racing and have a couple of good results in the races that matter to me — the Tour and the Commonwealth Games in Glasgow. But if anything happens at the beginning of the year, that’s a bonus. What are you going to do when you hang up your wheels? DM: I’ve got a few ideas, but nothing concrete. I know as soon as I stop I’ll put my focus straight into something else. I need some time away from the races and teams. It’s great, but I’ve been doing it since I was 19. I’d like a break and to widen my horizons, but maybe I’ll come back. I need to spend more time with my kids.